Symmetry is the underlying mathematical principle for the analysis of a repeated pattern in a textile or fabric. A symmetry is an isometry which sends a pattern to itself. Isometries are geometric transformations that keep the distance between points unchanged or invariant. 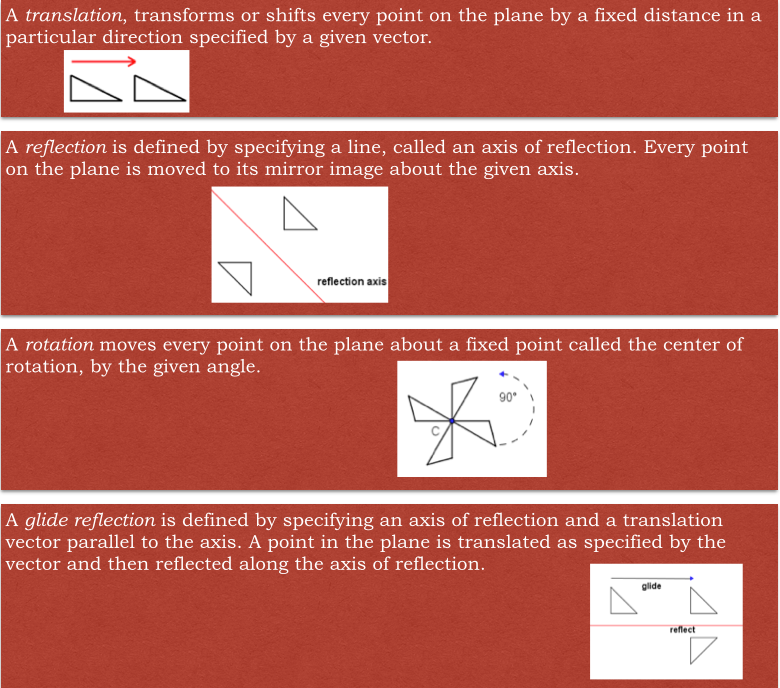 There are exactly four isometries in the plane: translations, rotations, reflections and glide reflections.